The speed in which technology advances and new developments appear on the scene are occurring rapidly with no end in sight. 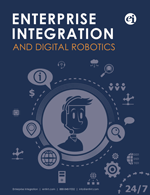 So too is the evolution in robotics automation and network management, which we here at Enterprise Integration continue to spearhead. So, we encourage you to tap into EI’s knowledge base and enlighten, inform, and challenge yourself with the innovative breakthroughs and technological advancements you will discover in our white paper library. We’re adding new innovations on a regular basis, so do come back and visit us often. If you are unable to locate the essay you seek, click here and let us know. One of our technology experts will assist you. 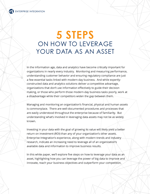 Discover five steps on how to leverage your data as an asset to gain business critical insight and improve customer experiences. 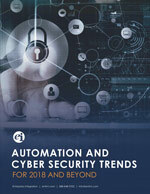 Discover the top trends happening now and the key security factors and threats areas organizations need to be watching for into the future. Discover how Adaptive Security helps organizations work quickly and securely while enhancing monitoring and resolution capabilities through automation. 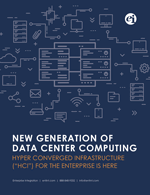 How HCI turns 3 or more blade servers into a single compute and storage infrastructure that reduces data center footprint with near-linear scaling. Discover how EI’s Digital Robotics Engine reduces overhead, cost and risk to your infrastructure through machine learning and self-healing automation. 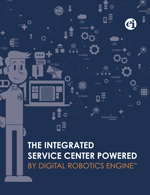 Discover how EI’s Integrated Service Center can minimize downtime and reduce costs by reducing service desk escalations and monitoring tool noise. 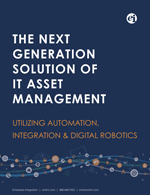 How state-of-the-art systems combined with automation and Digital Robotics provides cost savings, improves security and productivity and limits risk. 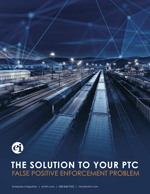 How Digital Rail Works can help control PTC data by understanding data from disparate systems and presenting it in a flexible, actionable way. 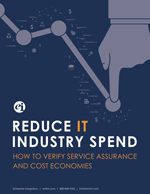 Discover how becoming metrics-driven and adopting automation initiatives can reduce IT spend by verifying service assurance and cost economies. 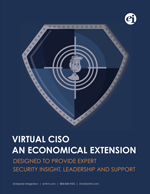 How Virtual CISO can provide information security leadership and implementation guidance at a fraction of the cost of hiring an in-house CISO. A special report for IT directors who seek an intelligent and adaptive network analysis and management solution. A briefing for IT professionals who need accurate and valuable insights into the strength and weaknesses in their network. A valuable overview that details how IT architects and engineers can avoid time consuming manual device assessments. 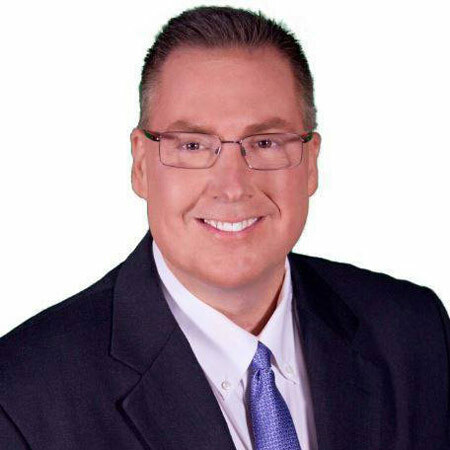 An exposé for IT managers who want to upgrade hardware and eliminate data redundancy, optimize the network, and realize significant cost savings. A special report for IT managers who wish to deploy a pro-active network management system that eliminates disruptions, and delivers exceptional ROI. A breakthrough report for IT directors who are searching for a fully automated, fail-safe continuity structure. 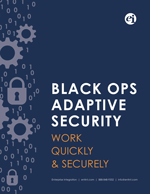 A special paper that reveals new insights on how to eliminate risk and shield your organization from crippling Intrusions.